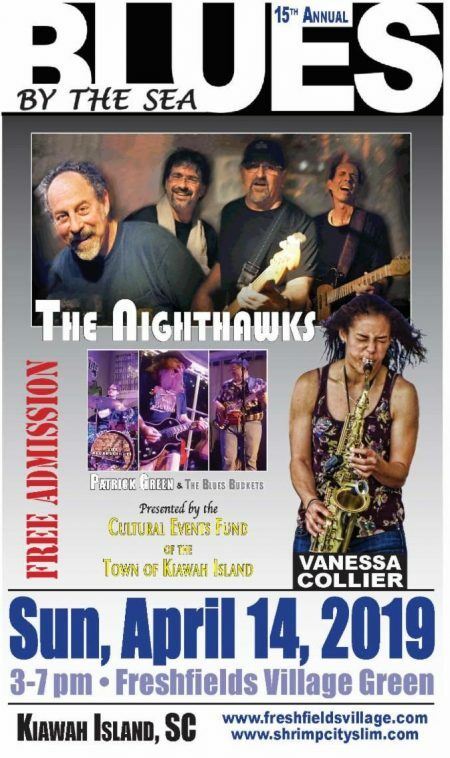 Enjoy a spring afternoon and evening of world-class blues featuring performances by Patrick Green & the Blues Buckets, The Nighthawks and Vanessa Collier. Bring a lawn chair or blanket to relax with friends on the Freshfields Village green while top national acts perform authentic, original American music! This event takes place rain or shine. Coolers and chairs are permitted. No pets, please. Learn more about the performers, here.